Casting for Ryan Gosling's directorial debut How to Catch a Monster--said to be a modern day fairytale that combines fantasy, noir and suspense--has been progressing quickly in the past week with a number of names announced. 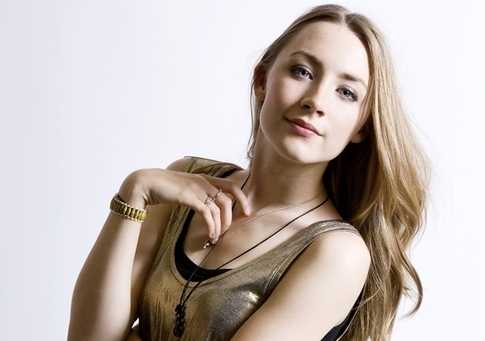 The latest actor cast in the film is Oscar-nominated Irish actress Saoirse Ronan, best known for her roles in Joe Wright's Atonement and Hanna. The press release also confirms that Australian actor Ben Mendelsohn (The Dark Knight Rises), who can be seen opposite Gosling in the upcoming The Place Beyond the Pines, will also appear in the movie. Ronan and Mendelsohn join the already announced Christina Hendricks ("Mad Men," Drive), Eva Mendes and Matt Smith ("Doctor Who"). The film stars Hendricks as Billy, a single mother "swept into a macabre and dark fantasy underworld while her teenage son discovers a secret road leading to an underwater town." Best known for her roles in ATONEMENT and HANNA, Ronan will next be seen starring in THE HOST and HOW I LIVE NOW. She is currently in production on Wes Anderson's THE GRAND BUDAPEST HOTEL and next stars in Working Title's MARY QUEEN OF SCOTS.